#10: This book is not a pillow. Can you guess how many f*cks this cat gives about that? 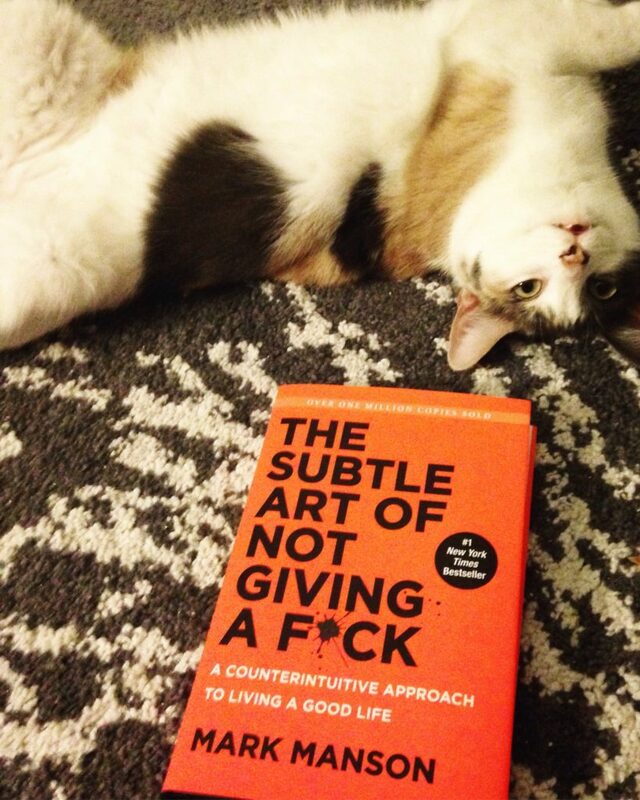 #9: This cat may give a f*ck about some things, but it has no time for you right now. #8 This cat gives so few f*cks that it’s actually a Chihuahua. #7 This cat has seen some sh*t and doesn’t a f*ck about your book club. #6 Unicornlovestrouble put a lot of artistic effort into this beautiful lettering, but is their cat impressed? Of course not. No f*cks given. #5 This cat has got things to do, and doesn’t give a f*ck that you want a picture. #4 Can this cat read? No. Does he let that stop him? NO. He doesn’t give a F*CK. #3 Don’t be fooled by this beautiful little kitty, looking up at you with huge, adorable eyes — the only thing this cat gives a f*ck about is whether you’re going to refill that food bowl. #2 This is not a cat. This a small lion that gives no f*cks. #1 The face says it all. Zero f*cks. If you have an animal who gives no f*cks, make sure to post a picture and tag us on Instagram!